I have visited Las Vegas two times in my life. I stayed at the Excalibur Hotel and the Luxor Hotel. 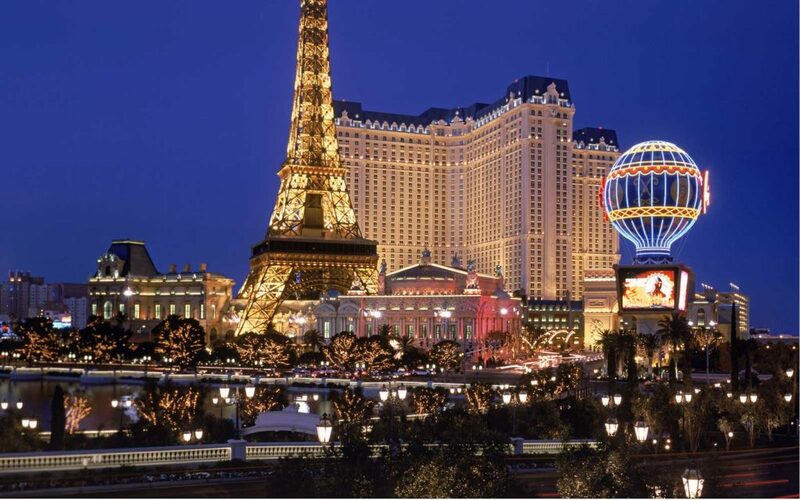 Las Vegas is a place of many attractions, tours, shows and more. The best things to do depends on your likes and dislikes. I went to Las Vegas so that I could visit the Grand Canyon which was a great experience. I also visited the Hoover Dam, Red Rock Canyon, Cirque Du Soleil, Tournament of Kings. Once you are in Las Vegas and touring the strip, you will see vendors everywhere giving you free tickets to shows. The best things to do in Las Vegas is in the hotels themselves. The Excalibur Casino Hotel is like living in a castle, and it has two towers. The main thing is that it is right on the strip. When you want to go places, they have a monorail for you to hop on. This hotel has everything in it. The Excalibur has gambling tables, bars, swimming pools, spa, wedding chapel,restaurants, arcades,shops and of course shows. You are surrounded by slot machines and gambling tables. This is a huge hotel, you will get lost every time you leave your room. The staff is very courteous and helpful, you can always ask them how to a place. You have your choice of restaurants, from budget friendly to expensive. You can spend time at their luxurious spa, you can get a facial, a massage, and other treatments. The Excalibur hotel has four outside pools, a water slide and poolside cabanas. The food court has the fast food restaurants we are use to. They have Popeyes, Pizza Hut, Starbucks, Krispy Kreme, and more. They have five different bars; the Lobby bar, the Sports Book bar, the Octane, and more. Some of the shows are Thunder From Down Under and Cher. Going shopping in the Excalibur is like being at the mall. There is so much to do in the Excalibur, I have only mentioned half of the things you can do. My second visit to Las Vegas I stayed at the Luxor Casino Hotel. This hotel is shaped like a pyramid. This hotel have gigantic Egyptian statues. All the rooms of the hotel have slanted walls. My room have a beautiful view of the mountains. This is a huge hotel with the worlds largest atrium. The hotel is surrounded by slot machines and gambling tables. The Luxor hotel also has access to the monorail. The Luxor is next to the Excalibur. The Luxor has a spa, fitness center, pool, restaurants, shows, and shopping. Some of the restaurants at the Luxor are the Pyramid Café, Tender Steak & Seafood, The Buffet, Burger Bar, Slice of Vegas and more. Some of the shows at the Luxor are Ricky Martin, Carrot Top, and George Strait. The hotel has six bars; the Aurora, Centra, Flight,High Bar, Play Bar, and Temptations Sundays. The Luxor spa includes a nail and hair salon, steam bath, whirlpool and sauna. One of the pools at the Luxor has the largest deck in Las Vegas. The hotel have beautiful Cabanas. If you try one of their Cabanas you will think you are in Egypt. The Cabanas have refrigerators, ceiling fans, televisions and more. The Luxor has a lot more to offer than what I have mentioned. These were some of the best things for me to do while I was in Las Vegas. I must mention the heat. It is hard to be on the outside because of the humidity. If you can stand the heat; walking the strip is the thing to do. The four mile trek have so many shops, shows, amusement rides, restaurants and Hotels, and a replica of the Statue of Liberty. If you cannot do a lot of walking, then you can hop on a helicopter or tour bus. The strip is very clean and beautiful. At night you see so many beautiful lights. The Bellagio hotel dancing fountains are unbelievable. I really don’t think you can ever do everything that Las Vegas have to offer, even if you live there. I cannot wait to return to Las Vegas again. It is the one place I don’t mind visiting over and over again, and I don’t even gamble or drink.